in the "El Tenampa" Cantina and in the Plaza "Garibaldi"
Erected 1991 by Autoridades del Departmento del Distrito Federal y el pueblo de México. 19° 26.458′ N, 99° 8.339′ W. Marker is in Ciudad de Mexico, Ciudad de México. Marker can be reached from Eje Central Lázaro Cárdenas just north of República de Perú, on the right when traveling north. Touch for map. 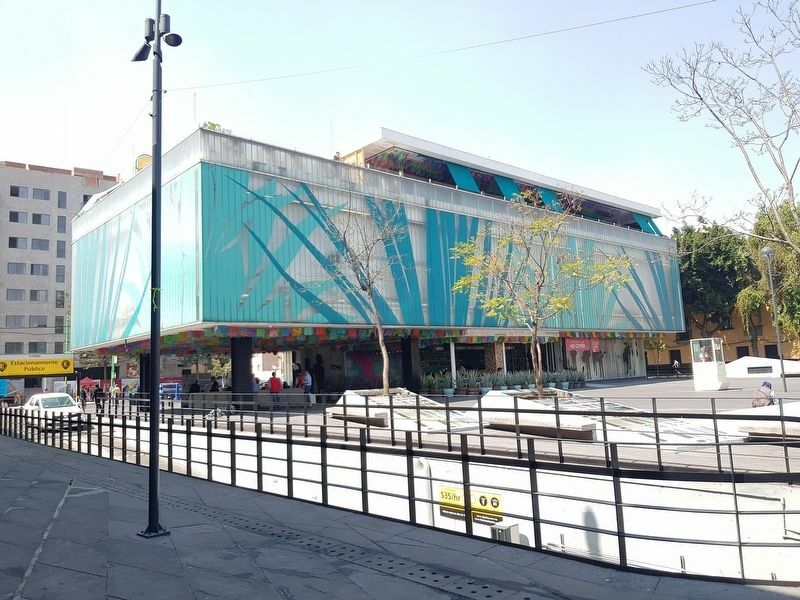 Marker is in this post office area: Ciudad de Mexico, Ciudad de México 06000, Mexico. Touch for directions. Other nearby markers. At least 8 other markers are within walking distance of this marker. The Chapel of the Dead (about 210 meters away, measured in a direct line); General Bibiano Dávalos López (was approx. 0.3 kilometers away but has been reported missing. ); General Manuel Márquez de León (was approx. 0.3 kilometers away but has been reported missing. ); Jacinto Pat (was approx. 0.3 kilometers away but has been reported missing. ); The Convent of La Concepción (approx. 0.3 kilometers away); General Eulogio Parra Espinosa (was approx. 0.3 kilometers away but has been reported missing. ); Clodomiro Cota Márquez (was approx. 0.3 kilometers away but has been reported missing. ); Cecilio Chi (was approx. 0.3 kilometers away but has been reported missing. ). Touch for a list and map of all markers in Ciudad de Mexico. Regarding Mariachi and the "El Tenampa" Cantina. 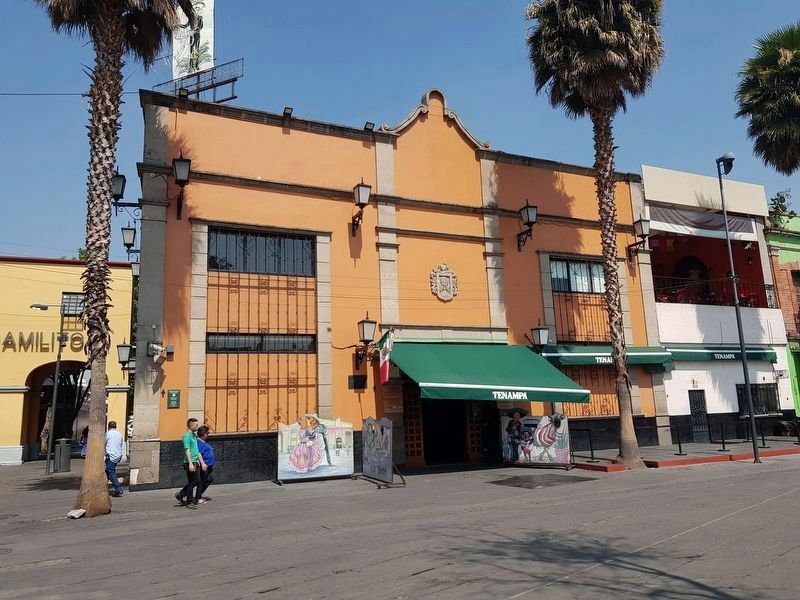 El Tenampa is probably the most famous cantina in all of Mexico. 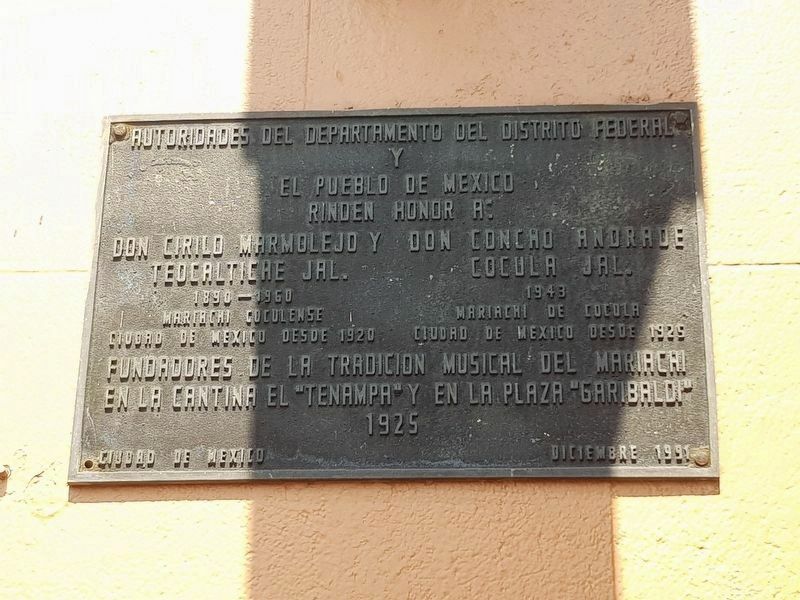 As the marker mentions, it has been the home of traditional mariachi music for almost 100 years. It is where all of the mariachi greats have performed and is mentioned in numerous songs and movies. 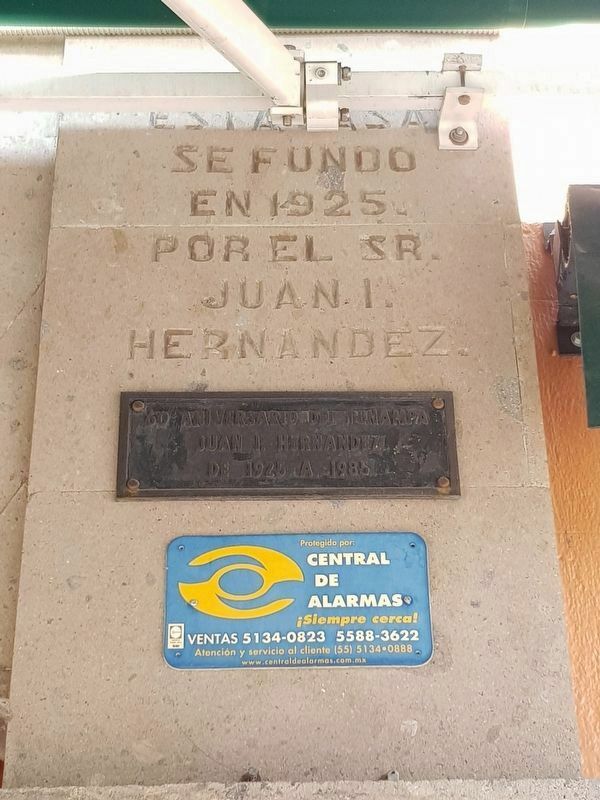 The marker is to the left of the main entrance to El Tenampa. An additional view of El Tenampa with a few mariachis. 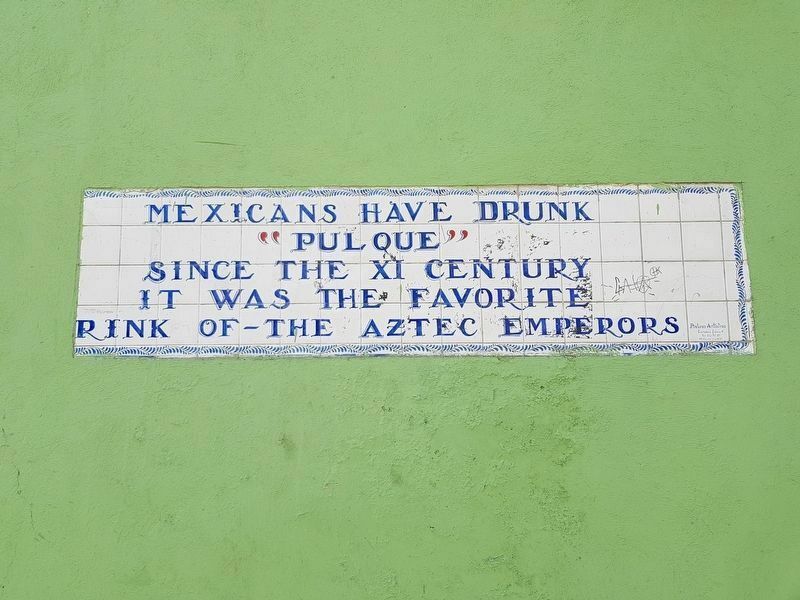 A few steps from El Tenampa is the Museum of Tequila and Mezcal. These two traditional Mexican alcoholic beverages are tightly linked to the mariachi tradition. 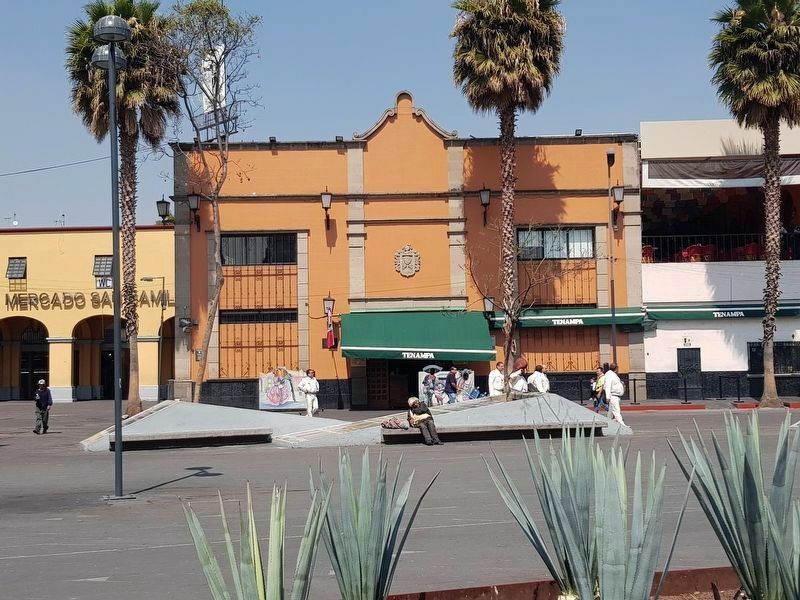 The area around El Tenampa is known as Plaza Garibaldi. 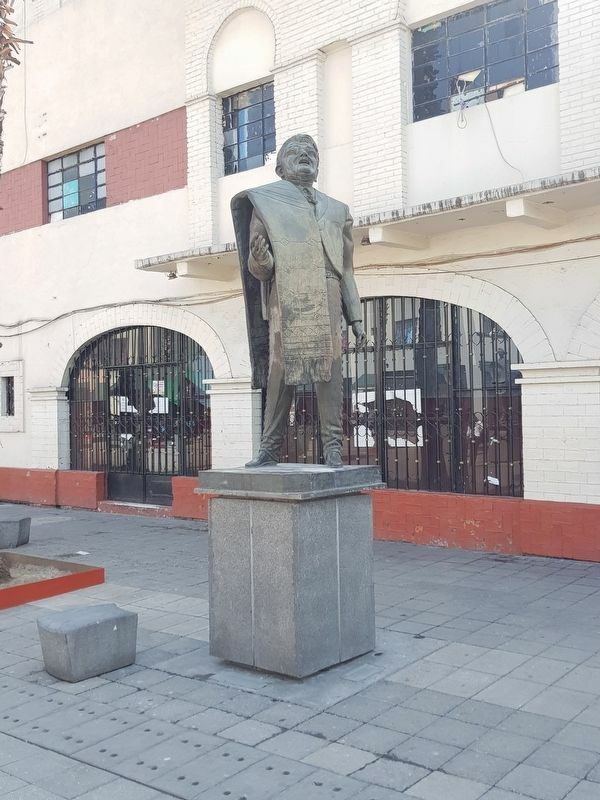 The plaza features statues of the greatest performers and producers of traditional mariachi and ranchera music, including this statue of José Alfredo Jiménez, one of the most prolific authors of songs currently sung by today's mariachis. More. Search the internet for Mariachi and the "El Tenampa" Cantina. Credits. This page was last revised on March 3, 2019. This page originally submitted on March 2, 2019, by J. Makali Bruton of Querétaro, Mexico. This page has been viewed 38 times since then. Photos: 1, 2, 3, 4, 5, 6. submitted on March 2, 2019, by J. Makali Bruton of Querétaro, Mexico. 7. submitted on March 3, 2019, by J. Makali Bruton of Querétaro, Mexico.